It’s all about Huck Finn and great family fun! For about 40 years (no one remembers for sure), the BI Sportsmen’s Club has organized an annual Huck Finn and Becky Thatcher fish derby for kids who are 14 or younger. 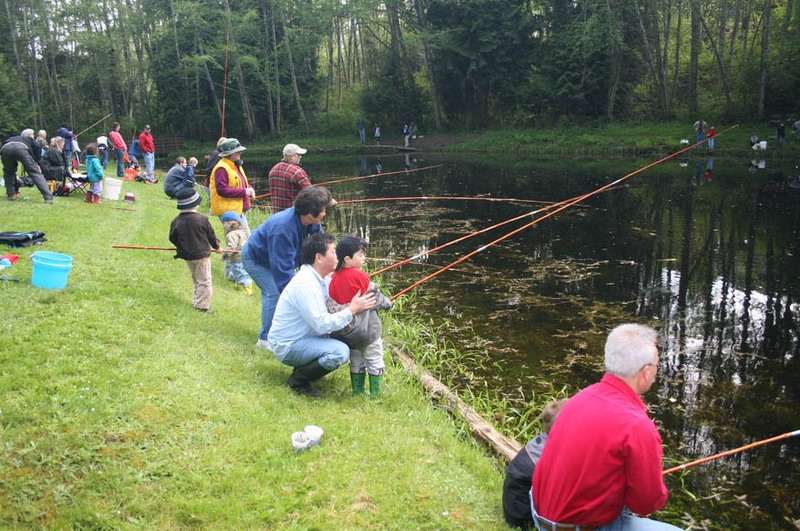 In this podcast, Alan Kasper, club president, describes this beloved community event: families bring their kids to fish, and in the spirit of Huck Finn, the kids are only allowed to use the cane fishing rods (loaded up with worms) provided by the Sportsmen’s Club. Prizes are given for various fish-related criteria, and the competition is serious. The kids can take their fish home in buckets, bags or whatever they’ve got with them (might be good to bring a container). Each year, the Fish & Wildlife Dept. donates between 350-400 fish with which to stock the pond, so there are plenty of fish for everyone. Imagine seeing the joy of a 5-year old catching her first fish! Credits: BCB Host Channie Peters; BCB audio editor Tim Bird; BCB publishers Chris and Diane Walker.